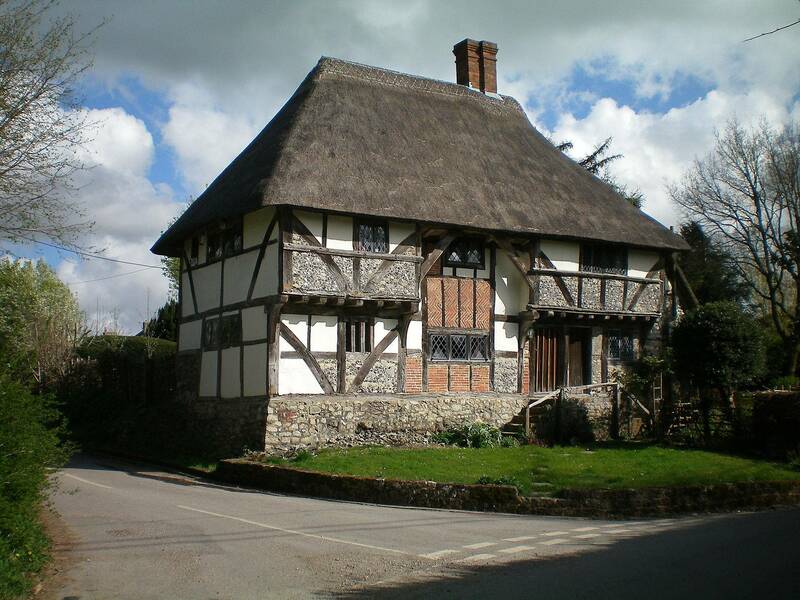 What are the approximate dimensions of The Yeomans' House, Bignor, West Sussex, England? 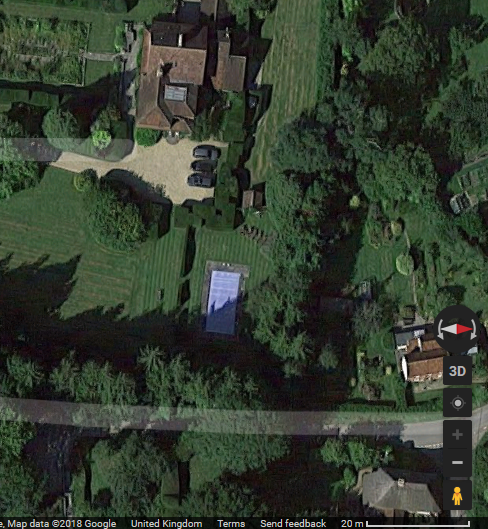 I've positioned the cottage bottom right in the map, against the scale. You can see that it's roughly 15 m wide and can infer the depth from that. It's loose and fast, but it's an approximation at least.